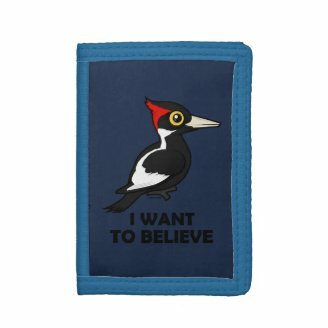 Do you believe in the Birdorable Ivory-billed Woodpecker? 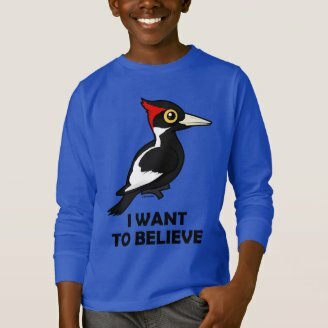 The Ivory-billed Woodpecker is one of the largest woodpecker species in the world. 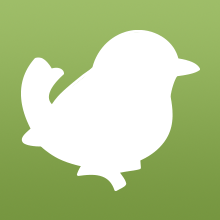 The bird is shiny blue-black with extensive white markings on its neck and on both the upper and lower trailing edges of its wings. 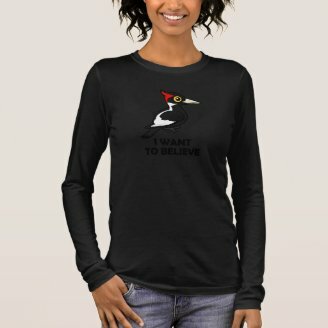 It has a pure white bill and displays a prominent top crest, red in the male and black in the female. 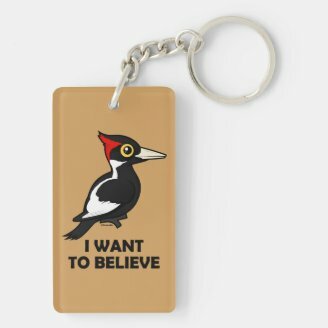 That is what most people agree on, but what they don't agree on is if it's either extremely rare or extinct! 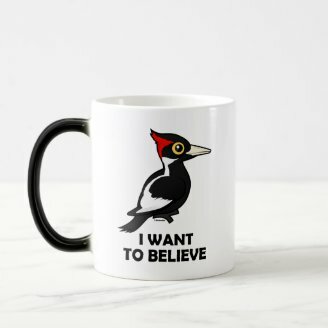 There is no solid proof of recent sightings of the birds, but some people do claim they have seen it in the woods of the Southeastern United States. 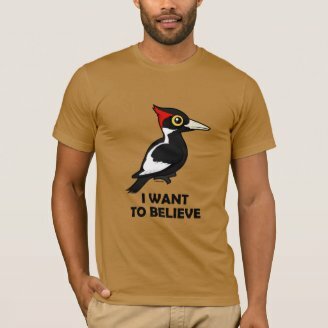 Heavy logging activity and hunting by collectors decimated the population of Ivory-billed Woodpeckers in the late 1800s. 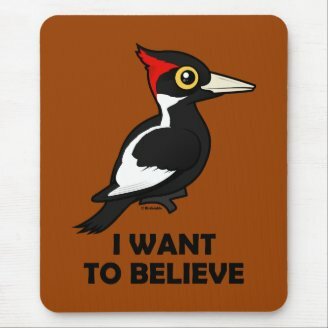 It was generally considered extinct in the 1920s, when a pair turned up in Florida, only to be shot for specimens. 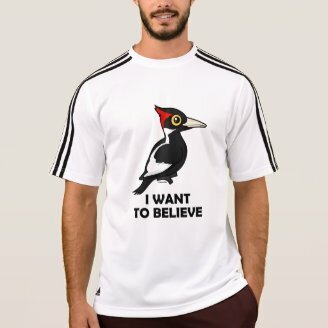 By 1938, an estimated 20 individuals remained in the wild, some 6-8 of which were located in the old-growth forest called the Singer Tract in Louisiana. 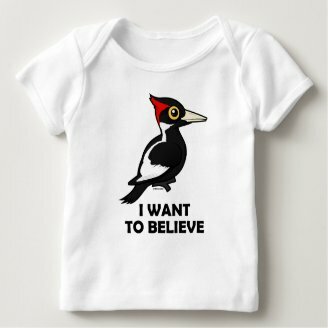 By 1944 the last known Ivory-billed Woodpecker, a female, was gone from the cut-over tract. 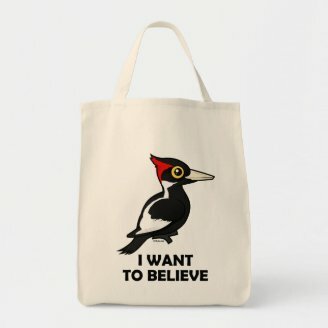 Reports of at least one male bird in Arkansas in 2004 and 2005 were reported in April 2005 by a team led by the Cornell Laboratory of Ornithology. 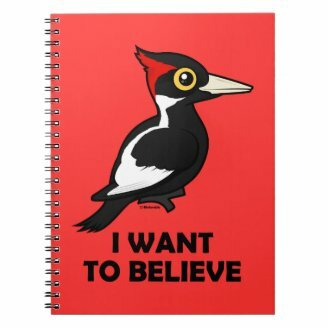 But no real evidence exist of the sighting, making many believe that the bird is extinct. 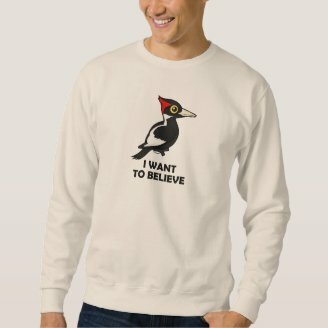 The Ivory-billed Woodpecker is the miracle bird of the century - or is it? 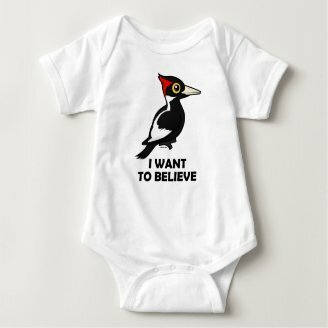 Either way, this chubby Birdorable Ivory-billed Woodpecker is too cute! 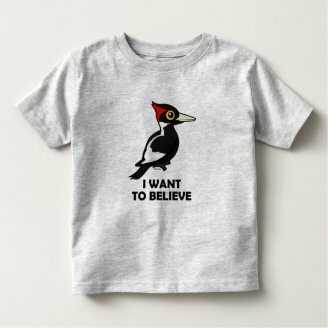 Support a positive reappearance of the Ivory-billed Woodpecker with this "I Want to Believe" design. 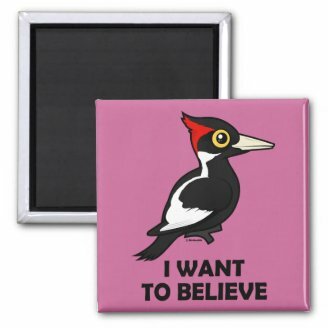 Here are some great gift ideas for birders, IBWO believers or aficionados of cute! 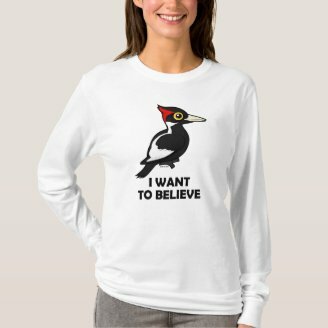 Support the Ivory-billed Woodpecker and wear this design. 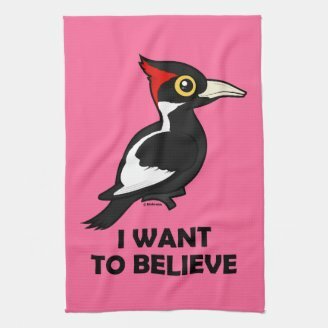 I Want To Believe Kitchen Towel 16" x 24"
I Want To Believe Fleece Blanket, 30"x40"
1 comment on "Do you believe in the Birdorable Ivory-billed Woodpecker?"